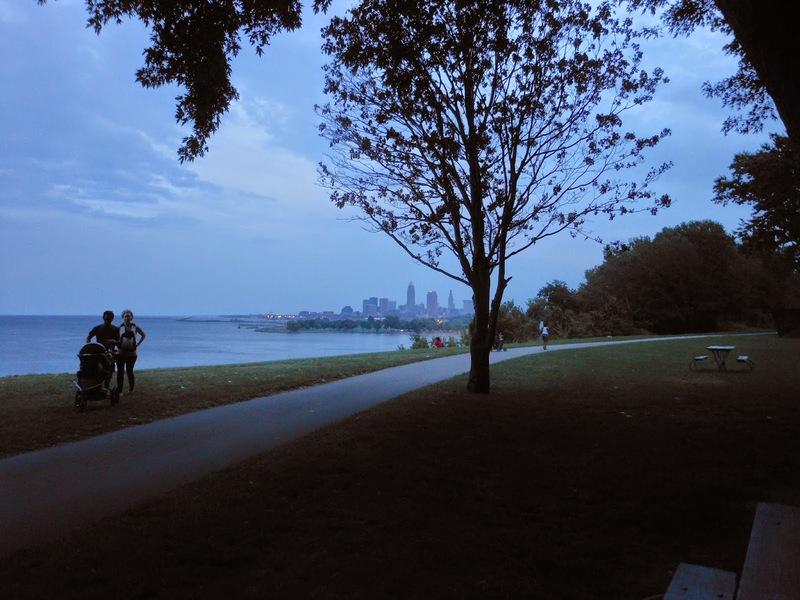 Summer has officially turned into fall (even though it's lingering in the weather this week), and it's been the perfect time to explore the upcoming neighborhood inspiration for Colors of Cleveland. Visiting familiar spots and discovering new ones have made me fall in love once again with this cozy gem in our city, and I have no doubt that you'll agree! It has amazed me how many spectacular views there are of our skyline depending on where you are standing in the city. While talking with my brother last week about this very thing, he suggested a photo spot for me to check out and it just happened to be located in October's neighborhood! So let's see if any of you can guess where I'm standing in the CLE!! Amid my hectic schedule this week, I am planning to squeeze in some time to go downtown and check out Cleveland's Ingenuity Festival. It's something I've never done yet, it's a free event, and it also celebrates the colliding of three very important worlds.... the arts, science, and technology. It starts on Friday evening, September 26, and goes through Sunday, September 28, and takes place around the Great Lakes Science Center and the Rock and Roll Hall of Fame. There will be art and technology installations, music and dance performances, and lots of other treats. Check out the website for a schedule of events. The Science after Dark opening party sounds interesting. 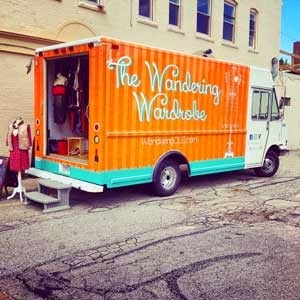 And because of my forever love of fashion I will be looking for the Wandering Wardrobe, Cleveland's first and very own fashion truck! She will be parked all weekend down at the festival selling fall fashions. 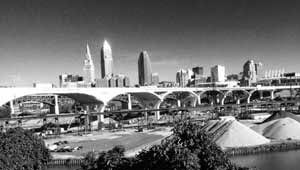 Have a great week whatever you do in the CLE!! Hi everyone! It has been so fun to receive feedback from all of the Colors of Cleveland subscribers as they open their September yarn packages! I was absolutely thrilled with the way the yarn turned out thanks to the wonderful dying talents of Space Cadet!! It has been exciting to collaborate with her on this project and it wouldn't have been the same without her. I encourage you to visit her website! She has many exciting things going on. It's also been a blast to connect with all my fellow co-workers here at River Colors. It isn't too often we all have the opportunity to work together or share ideas, but embarking on the Colors of Cleveland project has given us just that. I am so grateful to be a part of a talented, creative and witty team! Even though there are still going to be plenty of beautiful sunsets to check out this month here on the lake, this cool weather that blew in with the rain last night has me thinking about shopping for fall fashions and projects on my knitting wish list. So today I'm going to explore some of the charming and eclectic consignment shops and boutiques that are located right here in our Shoreway neighborhood. Some of my favorites are Girl Next Door in Rocky River, Designer Consignor in Lakewood, and Vintage Love in Avon. But I am going to start right her at River Colors to see what cool weather accessories I can knit to go with my fall wardrobe.....I think I'll start with the slouchy Superstar Hat, designed by Ella Rae. I saw the sample here at work the other day and loved the contrast of coziness and bling, so I need this hat in my life!! As much as I love the lake and our September neighborhood, I can't wait to share October with you, so I will be out exploring that area as well as we move into Autumn. So stay tuned for some clues and in the meantime, I encourage you all to explore and find the beautiful colors around our city that inspire you! Here she is! The debut color and package. We are thrillled with how it all came together. You can still join until midnight 9/5/14. We have 4 spaces left. More about Sweet Designs later. Every so often the stars line up and you feel grateful that things are working the way they are. That is how I am today. I am going to explain that lovely feeling of satisfaction here.Yesterday we were scurrying around with lots of last minute things to do. The Yarn Discovery Tour starts today- thank-you RCS team for working so hard! 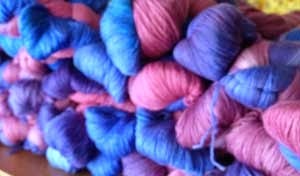 The Colors of Cleveland Yarn Club has its first pick up today(and those of you are having it shipped should receive it today or Saturday). It went came together beautifully and we are soooo proud. We will post a picture today after 11am. After all the members get to peek first! Sweet Designs sent us a wonderful plate of chocolate to thank us for something that we will explain later. That plate kept us all happy yesterday while we were scurrying! My daughter Kelsey is blogging for us from a younger perspective. She helped me see that the yarn club can easily be thought of as a yarn CSA. We would love to have you think of it that way. Please read her posting here. Sample her blog otherwise and possibly add it to your list of bookmarked blogs to read. As a biased mother I think she is hilarious but maybe a little racy for some our regular customers. Only you know where you fall. 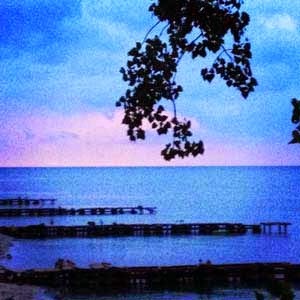 Welcome to the Colors of Cleveland September colorway clue!! Creating the beautiful hues for this venture here at River Colors has been so much fun, and even though the inspiration comes from the diverse neighborhoods throughout our city, working on this project has created even so much more enthusiasm to explore all the unique places and activities that Cleveland has to offer. This recent Labor day weekend was a perfect opportunity to do just that. Even though summer is winding down and we are headed into autumn, the weather is still warm and breezy so I decided to head out into September's hidden gems and get my exercise groove on! 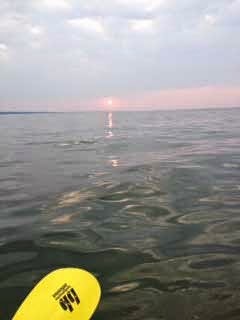 A little walking....a little kayaking...and a little yoga added up to a fulfilling C-Town holiday weekend. As we know here in northeast Ohio, we have to take advantage when we can. 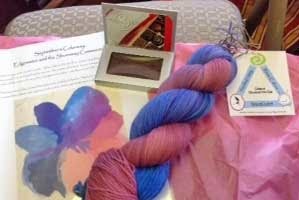 Still interested in joining the Colors of Cleveland yarn club? There is still time this week to purchase.... the deadline is this Friday, September 5th, which also happens to be the first day of the Yarn Discovery Tour. Grab you subscription while there are still spaces! Hope to see you soon!